Actor Amitabh Bachchan remembered late filmmaker Rituparno Ghosh in a post on Twitter. The 74-year-old actor, who worked with Mr Ghosh in The Last Lear, shared posters of the movie as it completed 10 years of its release on Tuesday. 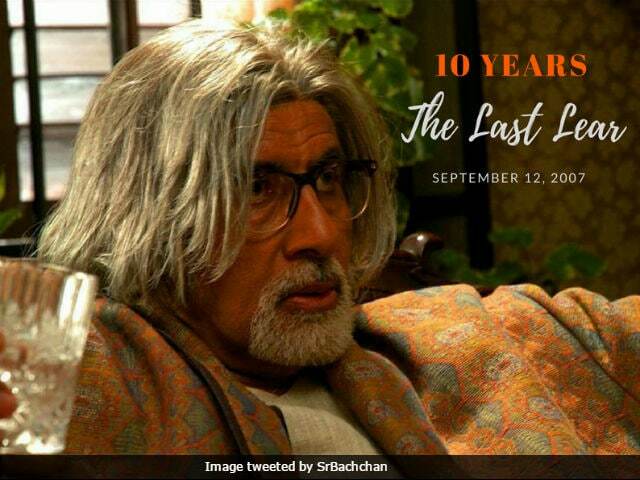 The Last Lear marked Amitabh Bachchan's first appearance in an English-language film. "10 years of The Last Lear. My first film in English made by the iconic Rituparno Ghosh.. he left us too soon," Mr Bachchan tweeted. Rituparno Ghosh was a renowned film director, actor, writer and lyricist in the Bengali cinema. He died in 2013 due to cardiac arrest. Rituparno Ghosh directed acclaimed and award-winning Bengali films like Bariwali, Asukh, Utsab, Shubho Mahurat, Chokher Bali, Dosar, Shob Charitro Kalponik and Abohoman. He also directed Hindi films Raincoat and Sunglass. Rituparno Ghosh's last film was Satyanweshi, which released in 2013. Rituparno Ghosh won 12 National Awards and many International awards in his career spanning almost two decades. Amitabh Bachchan last featured in Ram Gopal Varma's Sarkar 3. He will next feature in Umesh Shukla's 102 Not Out along with Rishi Kapoor. The film is slated to release on December 1. Amitabh Bachchan's other upcoming projects are - Vijay Krishna Acharya's Thugs Of Hindostan, co-starring Aamir Khan and Katrina Kaif, R Balki 's Padman, co-starring Akshay Kumar and Sonam Kapoor. The films are scheduled to release in theatres next year. At the moment, Big B is seen hosting the ninth season of television show Kaun Banega Crorepati.